Window Boxes is a fun, modern design that I pieced this summer for Quilters Newsletter Best Modern Quilts Issue. I’m so excited to be able to share it with you here today as part of the last day their blog tour, for which they have generously sponsored a giveaway of both a magazine and a Jolie fat quarter bundle by Anna Griffin! Window Boxes is sewn in a combination of my “Bella” and “Bonjour, Mon Ami” lines for Blend Fabrics. I used Aurifil thread for the piecing and appliqué and Warm and White batting. My good friend Cherry Guidry of Cherry Blossoms Quilting Studio, quilted the fun floral pattern. 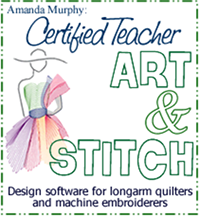 And be sure to stop by Quilters Newsletter and another designer on the tour, Janet Jo Smith (a little bird told me it was her birthday today so be sure to wish her “happy birthday”), for more chances to win prizes! P.S. Please join me on Instagram at “amandamurphydesign”! Next post: On Pointe and the last day of the Wake Up to Kona blog hop! This year I'm making a baby quilt and a wedding quilt – both need to be finished by June!! Just beautiful! I'm ready to get started on a batik jelly roll pattern that I've had for over a year… it's time to cut into that beautiful fabric! Thanks so much! How lovely! I am finishing up a kitty quilt for my niece and at the end of the month starting my first BOM w/ Thread Of Memory – an underground railroad quilt for my MIL. thanks! I started making Economy blocks….even though I have about 15 unfinished projects…just can't help myself. I love Anna Griffin's designs, thanks so much for the chance to win! What an adorable quilt! Love the applique flowers! Thanks so much for an awesome giveaway!!! I'm currently working on a few BOM's that just started up for January – Wishes Quilt Along, Pat Sloan's Globetrotting, Aurifil, Sugar Block Club, and two paper piecing BOM's – just a tad bit busy but I'm loving it!! I am working on a toddler quilt for my great-nephew. I finished his new brother's quilt & wanted to make one for him too. Thanks – love your quilt. Wow!! Love your quilt. I have some fabrics that would work great…. 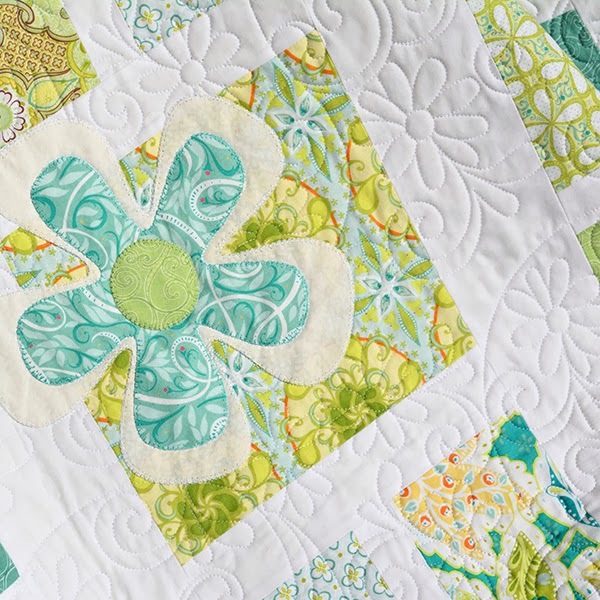 What a bright, fun quilt – love the color scheme. I'm starting a Smithsonian applique quilt kit that has hiding been in my stash. I came across it the other night looking for something to work on. lOVE WINDOW BOXES. I am going to be doing a Jo Morton group soon – yippee. I'm excited to begin Noodlehead's Cargo Duffle today – it's such a great bag and will look good in any fabric, I'm sure! I love this quilt…the colors are vibrant and bright. I am currently starting a border of the month quilt through my quilt guild. I'm excited to start, your colors in your quilts have inspired me! Right now I'm hand piecing a Jinny Beyer pattern — 4 blocks to go! I love your Window Boxes. After finishing my last quilt back in Sept and then Christmas sewing – I am yet to jump back into quilting. I am having trouble deciding whether or not to finish one of the many tops that I have on the go or start a Pezzy Jelly Roll quilt by Busy Thimbles! this quilt it beyond spectacular ! I would never choose those colors ; but I LOVE THEM ! 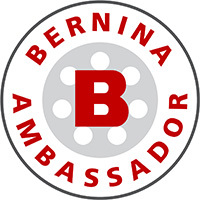 🙂 I am working on a non quilting project right now ; to get out some donation bags on a deadline , however when they are done I shall bind a batik quilt that needs to get done for ME ! I just finished up making placemats and a table runner last night. It is always a puzzle after completing a project…buy new, use stash, or finish a UFO. I love the flowers on your quilt! Very eye catching. I am working on finishing up last year's BOM's. 😮 Thanks for the fun! Wow! 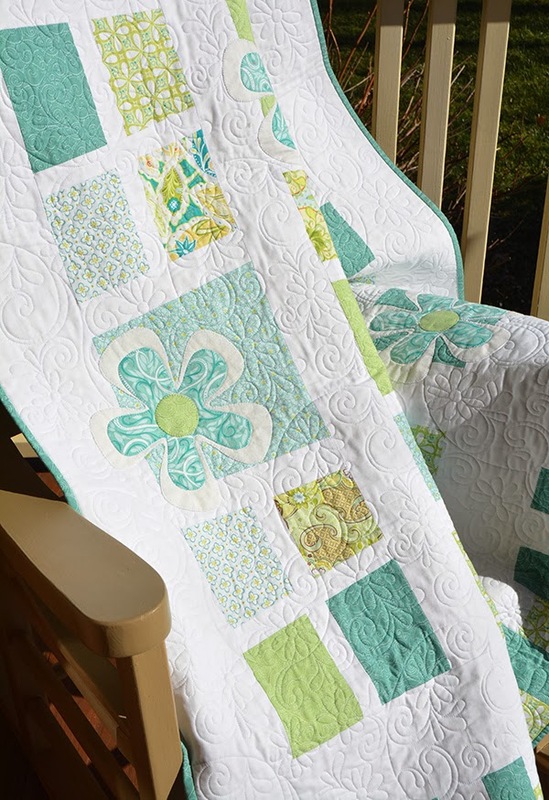 Spring indoors – on a quilt, what a wonderful idea! Love the colors and fun flowers. Your quilt is beautiful – looks like spring, which is great as I'm sitting in snow. I am working on an applique wall hanging, actually I am working on two! One I am quilting and the other I am hand stitching the applique down… happy days!! I'm working on a Round & Round quilt pattern by Camille ROskelley. Doing it up in batiks with a gray background. So far, so good! Enjoy your weekend. 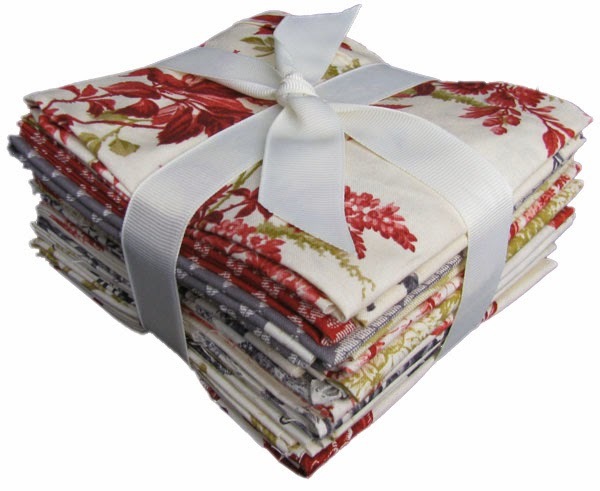 I may just have to add a new quilt project to my list – your is lovely! On another note, your quilt is GORGEOUS. I absolutely LOVE it. it is easily my favorite modern quilt I've seen in a long time. Inspirational–thanks! Window Boxes is such a fantastic, fun quilt – love the soft colours! I'm excited to finish up the binding on a Jelly Roll Race that I made for my Mom and to also finish the piecing on a quilt I designed for my daughter. After that, I plan to start the cutting and piecing for my son's bed quilt. I love having so many projects to look forward to! (Speaking of which, I'd love to try making the "Lollipop" quilt you blogged about a little while ago.) Keep up the great work! 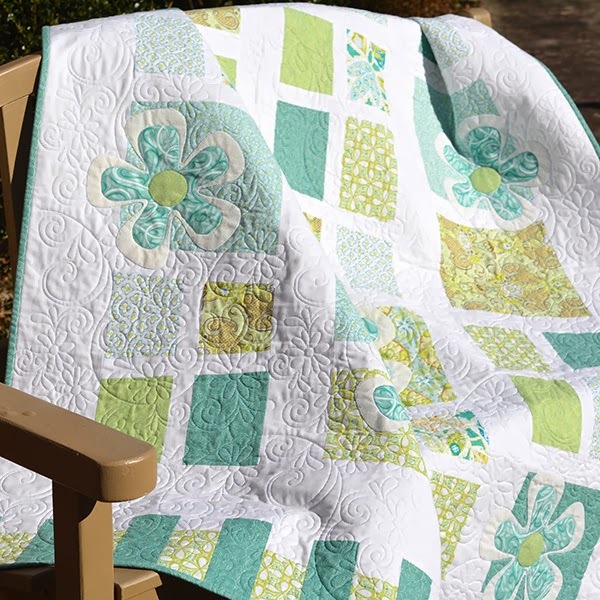 Such a cheery quilt…definitely brightens your day in midwinter! This quilt is breathtaking — your fabrics are so fresh and beautiful. I'm excited to be starting a baby quilt in the next few weeks. Baby Olivia has already arrived and is just waiting for a specially designed quilt to keep her warm. forgot a url 🙂 Also love the colors. I am a blue and green gal and the palette really calls to me. I am currently finishing up a BOM from last year. Just have to get the inner border and the last outer border put on and it will be ready for quilting! Then I will be excited to get back to hand quilting a BOM I started in 2005 and set aside for a while….I am almost done quilting the center then will only have the borders left to do. I love your quilt, but perhaps won't make it…your quilter did a delightful job, accents positively to your work…my next work: for,this whole year is to finish up UFOs. A very green sort of thing to do, don't you agree?